Tasty? Maybe – This is a shoe inspired by Ultra races with a ton cushion, and I love the idea: A high cushion shoe with a minimal heal to toe ratio. 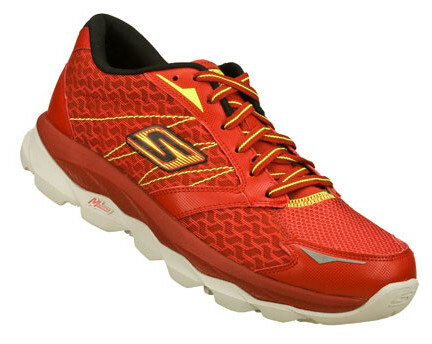 In fact I love the Sketchers brand, but the shoe did not work for me in my normal size. Run after run I found myself with blisters on the inner part of my left or right foot, in one case both. To remedy the situation and give the shoe a fair chance I keep debating buying another pair a half size up, but I have not as of yet. If I do and get different results I will update the review, but as of now these shoes are no longer in my rotation. Things I loved about them: The cushioning was awesome and the tread worked great on multiple surfaces, making this a great hybrid shoe. Down side: Maybe the fit or sizing. Perhaps try going up a half size if your considering this shoe. Second opinion : Check out the Ginger Runners review.